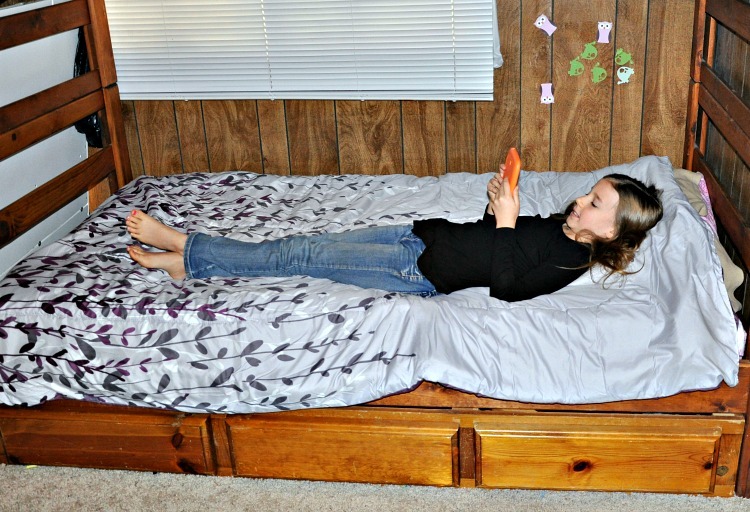 This post is sponsored by Google through the Mom It Forward Influencer Network. All opinions are my own. The internet can be the most amazing resource ever. Or it can be a danger zone if you’re not educated about internet safety. Our kids have never known a world without the internet. Most people in my generation have had access to the internet for about half of our lives, but we didn’t learn it as a kid, which means many people don’t really know the ins and outs of how to stay safe online. I find that many people who don’t have a lot of personal experience with the internet either give their kids free reign, or they completely restrict access out of fear. We can fight it all we want by minimizing screen time or limiting access to the internet, but kids find a way. And when something is off limits, most kids are determined to find a way to get access to it. They’re curious by nature, and we have to know and accept that. And the internet isn’t going anywhere, so we have to accept that it will be part of our children’s futures. The best thing we can do is educate ourselves so we can, in turn, educate our children. I’ve shared before that our daughters have access to social media at 8 and 10. Learning about the internet and social media is actually part of our homeschool plan for them, so they are both required to post on Instagram. That may seem a little crazy at first to people, but we feel that now is the best time to teach them about internet safety. When teens get their first phone and access to the internet and social media, it feels like a shiny new toy. If they never learned how to keep themselves safe on the internet, they may find themselves making poor decisions. When you start young, they will already have all of the tools and information they need to make good decisions online. It won’t be this shiny new toy they finally get access to after all these years. It’ll be just another tool they know how to use. Even if you don’t want your kids to have social media accounts at a young age, you should still be teaching them about internet safety. Before you can teach them, you have to understand internet safety yourself. 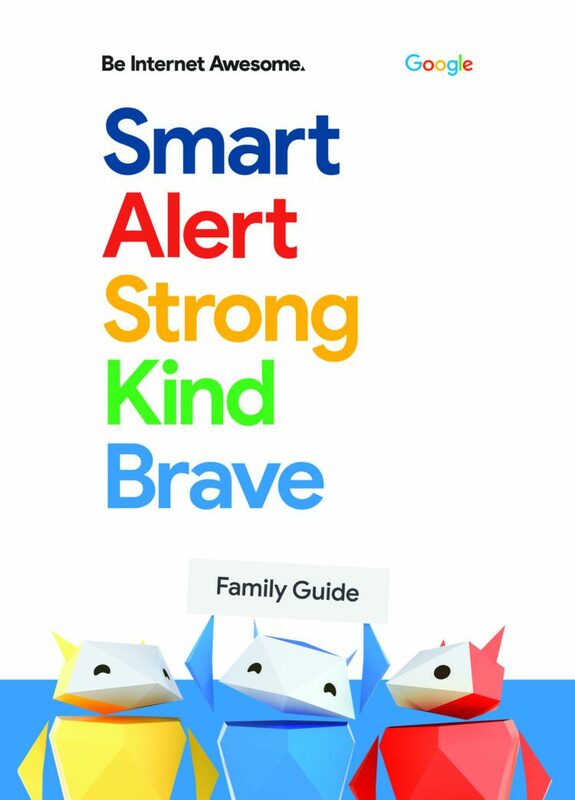 Google has put together an amazing guide to help families Be Internet Awesome. I’m so happy to see Google getting on board with educating people about internet safety. I’ll share an overview of my favorite tips here, then I hope you’ll head over to Google’s Safer Internet Guide for Families to learn more about Safer Internet Day and more about how you and your family can Be Internet Awesome. When you’re online, it’s important to make smart choices. You need to really think about what you post online before you post it. Once you post something online, know that it’s there forever. Even if you delete it, someone can find a way to dig it up somewhere. Don’t give away any personally identifying information like your social security number, maiden name, your passwords or anything else that’s sensitive. Before you click a link or enter a password on a website, stop and be alert. Make sure the website you’re on is secure by checking for the little padlock next to the web address, which should start with https:// not http://. Also make sure the web address itself is the one you expected. If you get a popup or an ad saying that you’ve won money or your computer needs fixing, you can be sure it’s a scam. Never click those links, but if you do be sure to change all of your passwords as soon as possible. Do not open anything that may be downloaded to your computer or phone from these types of links. Make sure your kids know to tell you if they accidentally click one of those links too. Make sure you’re using strong passwords that you change often. That means choosing a password that would be hard for anyone to guess (no birthdays or names, etc.) and using different passwords on different accounts. I know it’s hard to remember a ton of passwords, which is why I love the newer biometrics on the devices I have. I can have my computer or phone save all of my passwords, but use my fingerprint to have them automatically applied so I don’t have to memorize all of the strong passwords. Even if you have a strong password and use biometrics like I do, you’ll need to change your passwords frequently too. This is one of the most important tips of all! There is far too much bullying online. People will say things online that they would never say to someone face to face. Don’t be that person. We learned the golden rule as children – treat others how you’d like to be treated. As children, we were also taught if you don’t have anything nice to say, don’t say anything at all. Those are pretty good rules for online behavior as well. If you see bullying, report it. Give the person being attacked kind attention, but don’t attack the bully. We block and move on when we’re personally attacked, but it’s a good idea to report it if you see online bullying, especially if kids are involved. Sometimes it takes bravery to be sure that everyone is being kind online. It may be scary for your child to report bullying they see online, but you need to teach them to be brave and report it. Far too many kids are being bullied online, and it’s adversely affecting their mental health. We’re seeing suicides because of online bullying. Being brave and stopping it is so important. As a parent, you have to be brave too. You have to educate yourself and be insistent on educating your kids too. Sometimes it can take some courage to enforce the rules, but you have to with online safety. When you’re reporting online bullying or scams, it’s important that you have proof, so take screenshots before you block someone or report a scam. Teach your kids to do the same and to tell you immediately if they get a message from a creepy stranger. Teach them to how to take screenshots they can share with you too. These are just a few of the key takeaways I got from Google’s guide. Be sure to make it a priority to have a conversation with your kids about how to be safe and smart online today, on Safer Internet Day, and every day by using the information you learned from Google’s Be Internet Awesome guide. After you talk, encourage your kids to put their skills to the test with Interland. It’s also a great tool for schools, so be sure to encourage your child’s school to come together for a better internet too by sharing Be Internet Awesome with their teachers. Let’s work together for a better internet.